Romy B. Jurado is one of the founders of Jurado & Farshchian, P.L. a business, real estate and immigration law firm. She focuses her practice on general corporate and transactional matters with an emphasis on corporate formation, stock and asset sales, contract drafting, and business immigration. Romy is originally from Peru and moved to the USA with the dream of becoming an attorney and entrepreneur. Romy is actively involved in the community through her work as a Score certified mentor, and speaking at conferences to entrepreneurs and small business owners. "If you are looking for a skilled and caring professional, Romy Jurado and the firm of Jurado and Farshchian should be your first call. I personally recommended them on several occasions and receive only the highest praise for their work!" 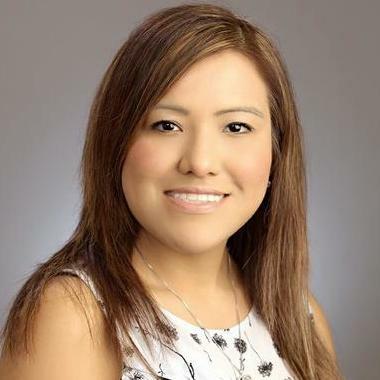 "Attorney Romy Jurado is an extraordinary woman who helped me with a title closing. She's talented, responsible, charismatic, and helped me understand what was going on throughout the whole closing process. She was there guiding me as well as teaching me and I could never be fully grateful for her services. If you're looking for the absolute best, here she is!" I represent clients in title and real estate matters who are purchasing, selling or refinancing a home or business; negotiating a lease on commercial or residential property and litigating issues that arise from real estate transactions. I provide day-to-day legal and business counseling to both established and successful companies, as well as startups. I offer my clients unparalleled transactional expertise from business formation and preparation of business contracts, to business financing, mergers and acquisitions. Whether you have need for a simple will or require more sophisticated planning, Jurado & Farshchian, P.L. can provide traditional estate planning (such as wills, testamentary and revocable living trusts, and powers of attorney) as well as more sophisticated tax and estate planning techniques to help you accomplish your goals. I assist companies with securing necessary visas for business travel around the world. I help my clients with work visas, family petitions, marriage and fiance visas, investor visas and citizenship. Representing private equity, health care, restaurant, and other business clients in transactional matters, including mergers and acquisitions, joint ventures, commercial leases and employment agreements. Draft corporate documents, resolutions, agreements, commercial leases and other contracts. Prepare due diligence for mergers and acquisitions. Perform extensive legal research about civil litigation issues. Evaluated cases and suggested courses of legal action under supervision of attorney. Researched immigration law and drafted legal memoranda. Represented detained clients in Immigration Court. Conducted extensive research and writing on a variety of substantive and procedural matters. Researched issues within affordable housing, landlord/tenant, benefits and employment law. Drafted pleadings, motions and complaints. Conducted client interviews and community education events. Performed legal research on land use and corporate law. Assisted attorney with commercial and real estate transactions. Drafted client correspondence and maintained attorney schedule. Processed and coordinated sales contracts. Recruited and trained real estate agents. Researched topics in land use law. Organized and maintained client's files electronically. Conducted legal research on immigration. Prepared immigration applications. Filed and updated legal documents. Drafted letters and routed calls for the legal department.